Gareth Bale is planning to stay at Real Madrid for the rest of his career despite the return of Zinedine Zidane, says the forward's agent. Zidane's reappointment as the successor to the sacked Santiago Solari has been widely reported to be bad news for Wales star Bale. The 29-year-old has been booed by Madrid fans during another injury-hit campaign, Bale scoring just seven LaLiga goals in 21 appearances. 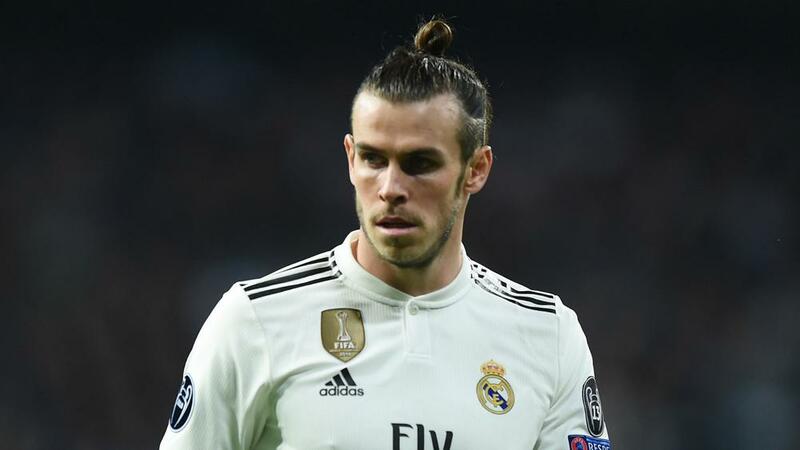 Bale's agent Jonathan Barnett previously branded the club's supporters "nothing short of a disgrace" over their treatment of his client, who he denies is planning to leave. "He wants to play all his career for Real Madrid and if it does not work out, we will talk again," Barnett said to BBC Sport. "He will talk with Mr Zidane, take it from there and then see at the end of the season." Bale was signed by Madrid president Florentino Perez, with Zidane's apparent distrust of the forward regularly cited among the reasons for the Frenchman's shock resignation last year after leading Los Blancos to a third consecutive Champions League title. "Gareth wanted to play one way and Zidane wanted to play another. That was the cause of it and over a period of time it got worse," Barnett added of the relationship between player and coach. "If you let Gareth play the way he wants to play, having a run of games in a row, not in and out, he can be right up there with Cristiano Ronaldo. He still has a great talent. "Gareth is very strong. He is a very strong-willed person and does not care what the press say. The jeering is not something that bothers him, he does not understand what he has to do. "Look at his record, what he has won and how he has played. In years to come, these people who are booing him, their children will be looking at the goals he scored and will be saying, 'what a wonderful player'." Bale has received renewed criticism this term, focusing on his apparent lack of integration with his Madrid team-mates, with goalkeeper Thibaut Courtois revealing they have dubbed him 'The Golfer' due to his fondness for 18 holes rather than socialising. Barnett continued: "Bale is a very quiet man, he has been accused of some terrible crimes, like not wanting to stay out until 1am. That is terrible and every paper said that was disgusting. Can you imagine the reaction of the papers here if they saw an English player out at 1am? "He loves to be fit, he has a regime and he sticks to it. He is the perfect pro. He is very friendly with everyone, they know what he does and playing golf on a day off is not a crime. If anybody from the club wants to play he is available. He is fine, loves life in Madrid and has always been happy. It is very unfair of the press. "Ex-president Ramon Calderon said he does not speak a word of Spanish. How does he know? He has not been within a mile of Gareth Bale, ever. For him to say that, it was like him saying Jose Mourinho was going to sign to be the next manager. Put them both together, that is how much sense he makes. "I assure you Gareth does not read the papers about himself. The press are wrong to behave like that, it incites the fans. I also have a big gripe with the British press in that he is one of, if not the best, export that has ever left Britain to play abroad, one of the best players Britain has ever produced and unbelievably, even the newspapers in England don't stop knocking him. "Ronaldo would never get knocked in Portugal, Lionel Messi wouldn't in Argentina, Neymar would not get knocked in Brazil."